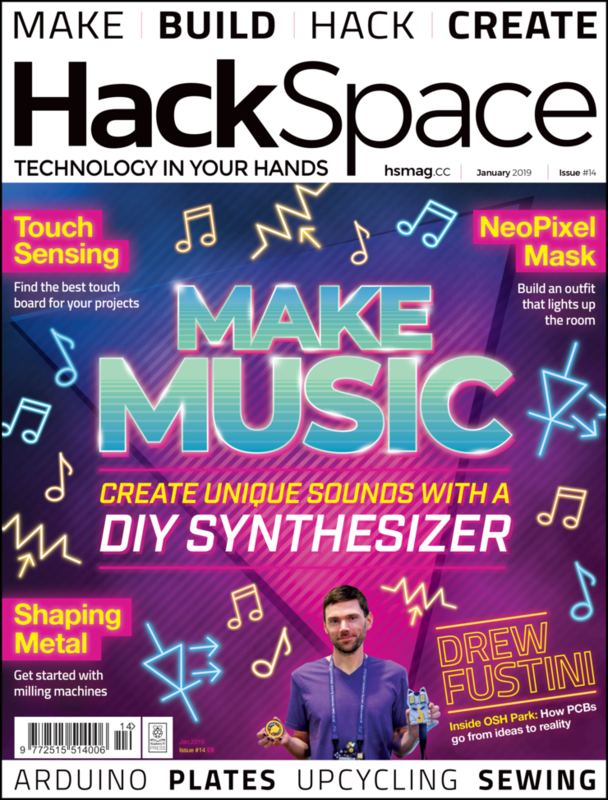 Issue 14 — HackSpace Magazine @HackSpaceMag « Adafruit Industries – Makers, hackers, artists, designers and engineers! Issue 14 — HackSpace magazine. Grab your soldering iron, it’s time to make some music. We take a look at how to build a modular synth complete with sequencer. Press the buttons, twiddle the knobs and you’ll be able to create a unique sound based on a device you’ve constructed. We also chat with PCB maker Drew Fustini of OSHPark about what it takes to turn prototypes into permanent circuit boards, discover a group of makers mapping radiation in Japan and more. Read more, buy a copy, or view PDF.